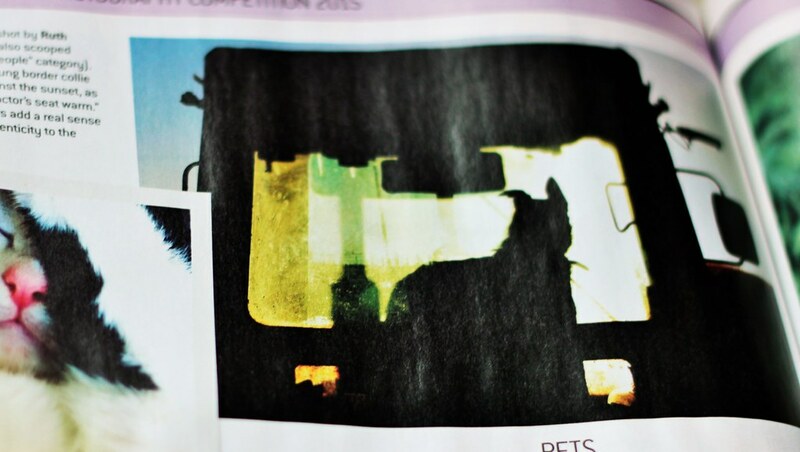 I had a wonderful surprise on the weekend before Christmas when I opened the Farmers Weekly magazine and found I'd made it to the final eight in their annual photographic competition. I was - and still am - very pleased about it. This is the photo of my dad that - amazingly - was the Winner of the People category. Dad still says it was because of his good looks. I took this one in April, and it features in this post: About Fluke-ing Time. 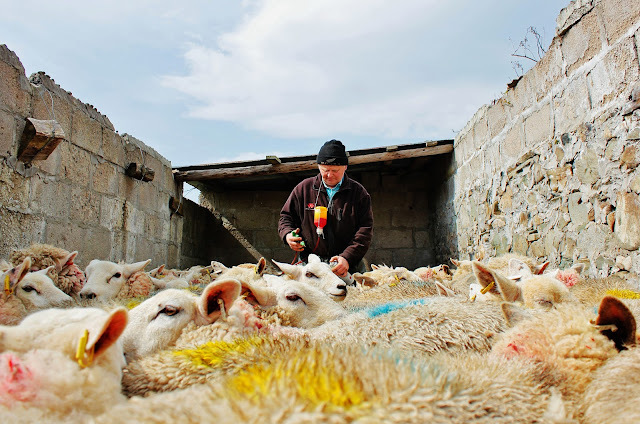 Ruth [...] got this picture of her dad injecting hoggets for liver fluke [...]. She wanted a "sheep's eye-view" so waited until he was in the centre of the frame before taking the photo. I took it way back in February, one Sunday evening just outside the lambing shed. I took lots of photos that afternoon, and the rest are in this post: Primary Colours. 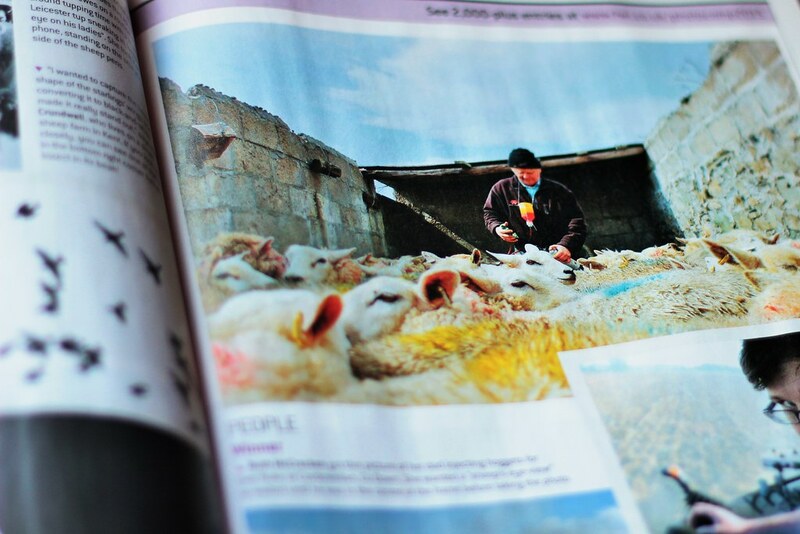 Another great shot by Ruth [...] (she also scooped top spot in the "People" category). 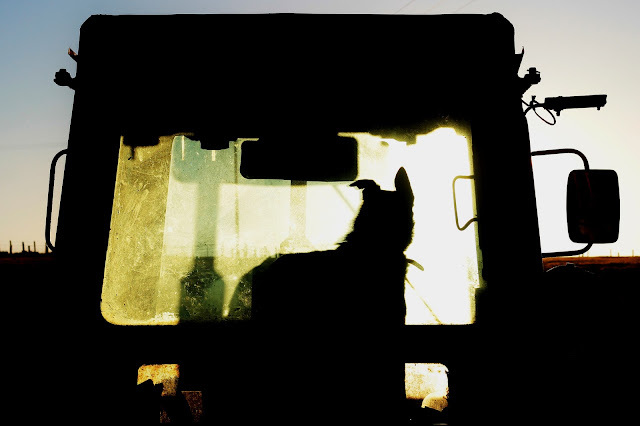 This is Jess, a young border collie "silhouetted against the sunset, as she keeps the tractor's seat warm." The dirty windows add a real sense of farmyard authenticity to the scene. With my photo of Dad in the final eight, I was in with a chance to win £250. Alas, it was not to be, and the winner of winners was a lovely black and white photo of a bull. I'm still thrilled with how far I got out of over 2,000 entries, though. Not bad. Not bad at all. Fantastic! Congratulations on making the finalists! Your beautiful photos are always lovely to look at! Oh wow! Those shots are gorgeous! Congrats! Both of these shots are amazing as are all your photos. I bet you will win the whole thing next year!